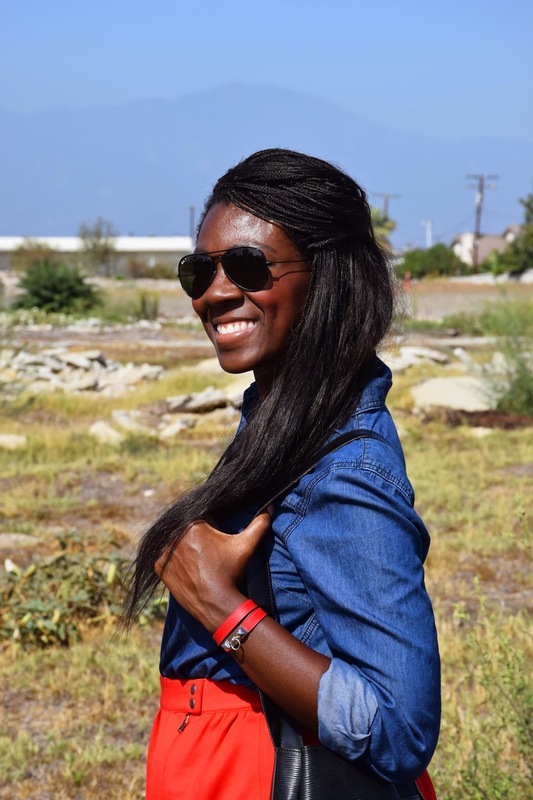 Love the denim and red together! :) So vibrant and fun! Very cute outfit, love the loafers. I have been waiting for Fall so I could break them out of their box in my closet lol. 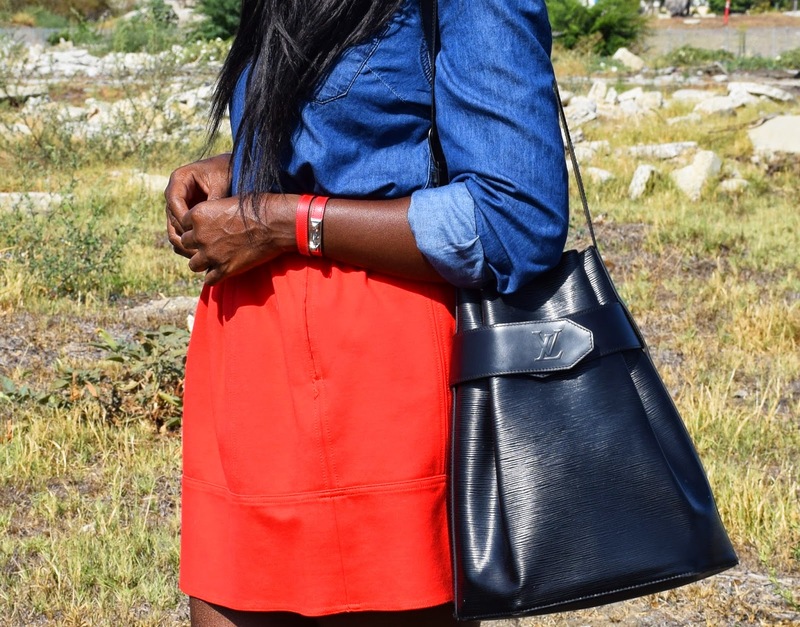 Love this red skirt! So many styling options. 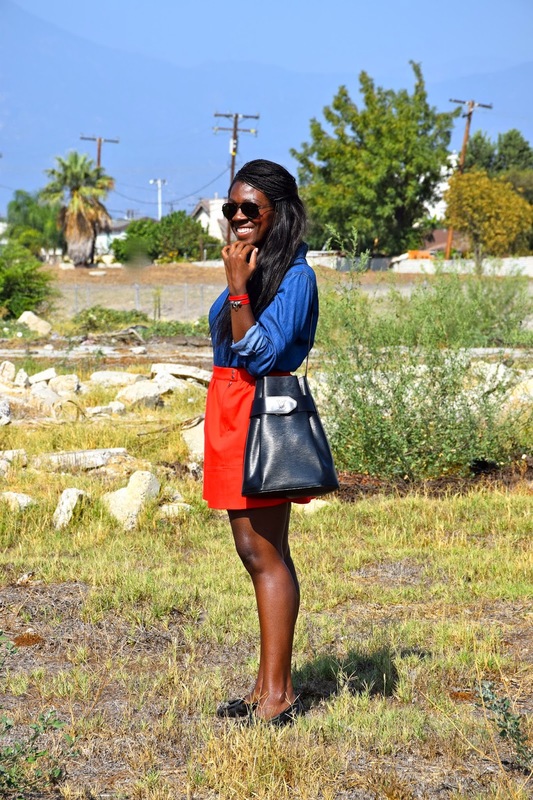 I love a pop of color! Such a great outfit! I love the look of those masculine shoes paired with the skirt. I agree it is fun to mix it up a bit! Loving the shoes and that bracelet! Alina,I love these items such great multi-tasking pieces! I like those loafers! Very amazing.